We all relate to the word peace. We use the word to describe relations between people and countries and ideologies. The word peace is used in almost every greeting card, no matter what the religious context. And most often peace is linked with the words joy and love. It’s the favorite answer in pageants when contestants are asked about what it is that they seek in life. “Word Peace,” is the response so often used that it loses all its power and depth. Peace is also often used to describe how we personally feel about ourselves. Do I have peace in my heart? Will I ever find peace in my inner thoughts? Basically, how can I find peace with myself? During the Christmas season peace is used to describe a time for children who are nice to get all the things they dream about. Magic is the replacement of majesty and an infant child is overshadowed by a child-like dreamworld of jolly old elves and presents, and snow and peace on earth, goodwill toward men. This jingling and jangling has become so loud that the cornerstones of the season of Christmas, the season of God's Love, Joy, and Peace have been drowned out and in some places lost. Peace is a word often used in the Bible. It is used ninety-three times in the New Testament alone and one-hundred-and fifty-five times in the Old. 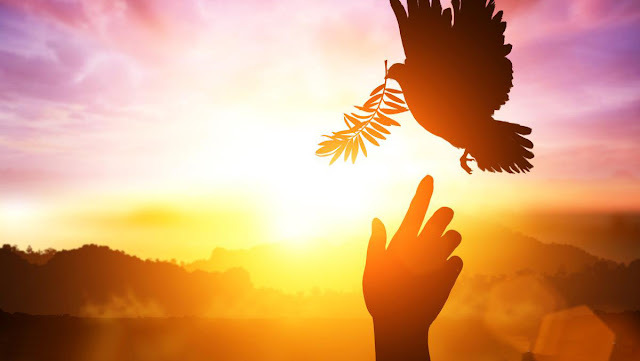 In this sermon today we will look at the word peace in it’s Biblical context to discover the importance of peace in our lives together and lived out before a Holy and righteous God.